Spring and summer are breathtaking in Boundary Waters Canoe Area (BWCA). So, now is a great time to plan a getaway to soak in the great outdoors and all the Boundary Waters has to offer. BWCA has something for everyone — so whether you are planning a family vacation, a romantic getaway, or a weekend away with friends, BWCA in Ely, MN is the perfect destination. Thanks to Moose Track Adventures, you have a variety of amenities and attractions to enjoy during your stay, including boundary waters outfitting, cabin rentals, guides and campgrounds with water and electric hookups. With more than 2000 campsites in the area, you will have no trouble finding a great spot for your tent! 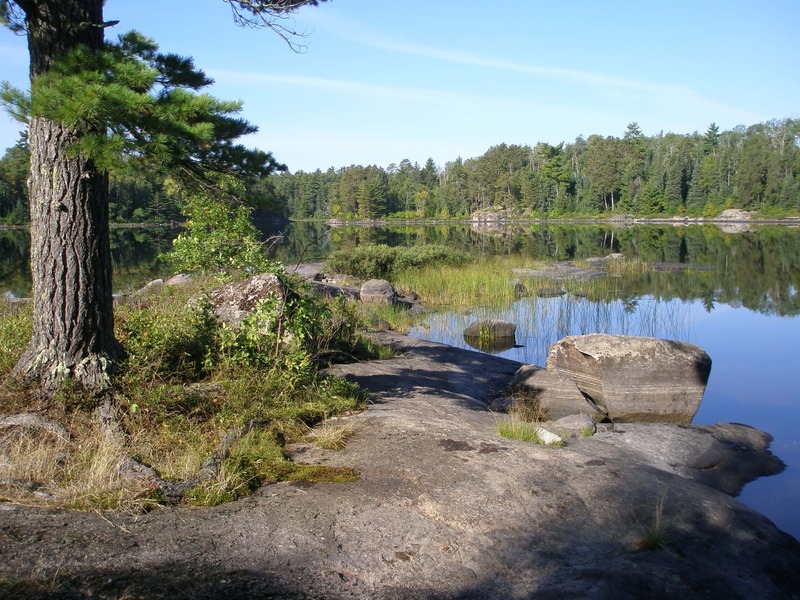 Reservations are not needed for campsites inside of Boundary Waters — all you need is an overnight pass. There are few other camping restrictions, just plan to have 9 people or less in your group (per permit) and no more than 3 watercrafts. You can camp at Forest Service designated campsites that are marked with steel fire grates and wilderness latrines. You will find more than 1500 miles of canoeing routes in BWCA, giving those who love being out on the water a lot of room to explore. Canoeing is one of the most popular activities at Boundary Waters because of the amazing views and opportunity to see wildlife and beautiful landscape. Fishing is another extremely popular activity in Boundary Waters. Keep in mind that a Minnesota fishing license is required, short term options are available for those traveling to the area from out of town. You can catch and release those that you do not intend to eat to keep the population thriving. BWCA offers some of the best freshwater fishing in the country. Guided fishing and fly fishing tours are available. Moose Track Adventures, located just outside of Ely is a unique and popular resort, campground and outfitter that knows the BWCA area well. We can help you tailor your visit to Boundary Waters to perfectly suit your group, length of trip, fitness level and interests. With 6 beautiful cabins on the property as well as a campground on the water’s edge with many amenities, Moose Track Adventures is a favorite for those who frequent the area often. Our customer service team can help you with fishing/camping permits, guided fishing and fly fishing tours, canoes, life jackets, tents as well as food for your journey into the wilderness. Moose Track Adventures will make your trip to Boundary Waters easier by taking care of many of the details. Call us at 218-365-4106 or email info@moosetrackadventures.com for help planning your next trip!